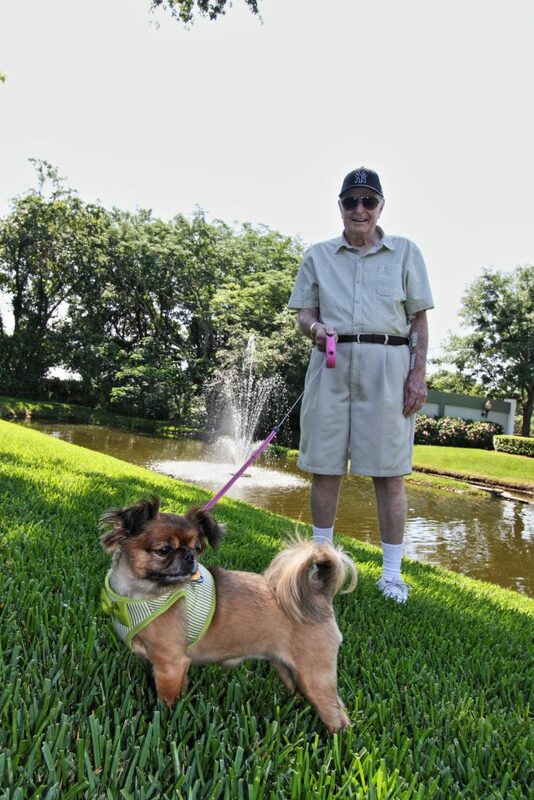 With common requirements in place, like picking up after your pets, residents are Hyde Park are welcome to bring along their pets when they move into our lifestyle community located in Winter Garden, Fla.
Hyde Park makes for an ideal location where you can enjoy walks with your pets, especially since the community is situated on 50 acres, much of which consists of pretty trees and lakes. Hyde Park is also located a golf cart ride away from charming Downtown Winter Garden, and our residents love taking their pets along for the ride! If you have a pet and are interested in learning more about Hyde Park’s active, pet-friendly lifestyle, please give us a call: 800-888-3789.